this morning we went to the local movie theater and watched “horton hears a who“. it was a great movie…but when looked at through the eyes of ending abortion…it was absolutely breaking. some people say that it isn’t about abortion, but if you truly believe that, then you don’t believe at all in what the book/movie is trying to say. dr suess wrote the book before abortion was legalized…but the principle is a truth…and truth is not subjective or partial. an elephant is faithful one hundred percent. that’s my code, my motto. we’re here, we’re here, we’re here! God was really challenging me on how involved do i want to get when it comes to His will. is it worth completely selling out to? will i be faithful 100%? will i not settle for compromise and push on to reach and achieve the impossible? will i fight for His heart and His desires no matter who stands with me? i am saying yes and praying for His help. what did you think of the movie? did you see the abortion ties? what were your favorite parts? did the Lord speak to you at all about it? what were challenged with? God started speaking that HE is depending on us. He is depending on us that we really mean what we were singing. He has great plans and He is depending on us to trust Him…no matter where the journey takes us. next, the speaker came up. her name is marsha woolley. she preached a message called “meltdown”. click here to listen.afterwards, God touched many women who had been barren or who had mental diseases. He gave hope to many who were losing faith in the faithfulness of God. it was a beautiful night. what did you think of the “horton” clip? what did you think of the message from marsha? i’m blogging live this weekend at our annual church women’s conference “come to the keep”. this year’s theme is “trust”. throughout the weekend, the speakers will be talking about trusting in God’s loyal love. i’m really excited cause my good friends michelle and peter tepper will speaking this weekend. He who dwells in the shelter of the Most High (“the keep”) will abide in the shadow of the Almighty. I will say to the Lord, My refuge and my fortress, my God, in whom I trust. For he will deliver you from the snare of the fowler and from the deadly pestilence. He will cover you with his feathers and under his wings you will find refuge; his faithfulness is a shield and buckler. You will not fear the terror of the night, nor the arrow that flies by day, nor the pestilence that stalks in darkness, nor the destruction that wastes at noonday. A thousand may fall at your side, ten thousand at your right hand, but it will not come near you. “the keep” is also the most intimate place of the heart and house. just as there is a war raging around us that causes us to fight…there is ALSO a war raging to keep us from entering that secret intimate place. you see, in that place you are completely transparent and vulnerable…completely naked. many of us are afraid of what God will see in/on us if we were to enter that place. some of us feel so unworthy and we think Jesus will be ashamed of us if we stand before Him with no walls, no deceptions….just the honest truth of who we really are. but in both these areas, God calls us to “trust” in Him…for protection in the battle and for assurance in the secret place. He longs to silence the war around us, strip off all the lies that we cloth ourselves with and tell us how much He loves us. i encourage you to let God take you to that place of safety and honesty. everytime you enter that place, your life is changed. what are your struggles entering “the keep”? which part of “the keep” is the hardest to get into? why? wed night – this night we finally did the “master builder” production. it has been 15 years years in the making! it has been the first time ever that it was pulled off. it was always cancelled (in other churches) the week or two before the premiere. i feel very honored and i think it was prophetic that the first place it was done was at our church. after that i led my first worship session of the weekend. it rocked! i had so much fun. we really dug into that God is faithful to complete our journey. He won’t leave us in the desert alone…He will surely lead us out. later that night (like at 1am…after i put up a quick post on my blog), i had some quiet devotion with God and the Word. He took me to psalm 51 and told me “matt, i desire to give you joy”. (taken from verses 8-12) joy, for the journey. it was probably the most resounding thing i heard from God during the 72 hours. this morning started off amazingly. 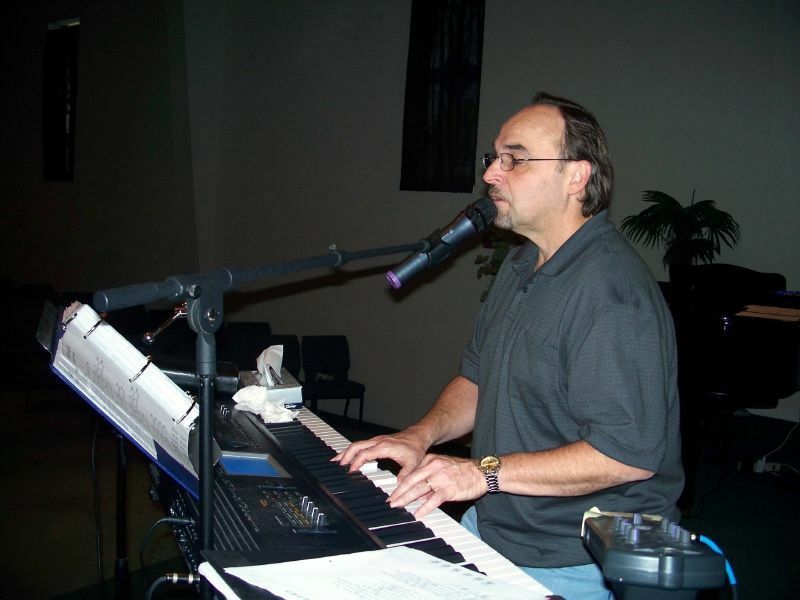 pastor randy did a beautiful intimate worship set early in the morning for a couple hours. God told me it was literally “corporate deliverance”. no need for rebuking demons, we worshipped and the loving Father came and was setting us free. then after a nice and long worship session, pastor gary chrisafaro (from first assembly melbourne) spoke about God being at the center of our being and also about giving God our first-fruits (referencing cain and abel). it was really powerful, especially when it comes to how we perceive God and trust Him. i led a quick session and then pastor chrisafaro talked about God’s plans for israel and why they are so important. i seriously thought it was going to be a recap from last year, like “i already know this, but it’s a good refresher”…but it was all new and alive to me. it made me commit in my heart even more to see israel accept Jesus. the biggest thing that happened to me this session was to see all the unfulfilled prophecies about israel that are coming to pass now. also comprehending that according to matthew 25:21-46 and joel 3: 1-3…Jesus will judge us and the nations for how we treated israel (his brothers) and how we acted concerning the literal “land” of israel. that night we performed the “master builder” for the second time. it was once again an absolute miracle that it was pulled off. it was really good. after that i got to lead the night worship session again. it was probably one of the greatest memories i will keep in my life. 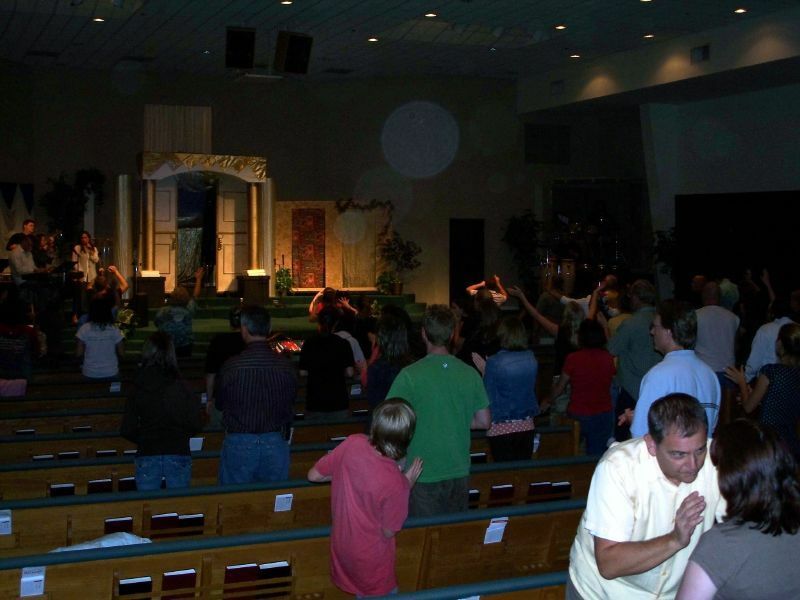 everyone in the building from the very first second we started (the team was stephanie, christina, matt blades, bob, susan and myself), the ENTIRE church engaged with God in radical worship. the place went crazy! the moment that put me in tears (at least in the inside) were these two girls who were brand new to the youth group, just newly saved and they came over after youth and God was just capturing their hearts. it was beautiful! God broke through and started speaking at the end about “righteousness and peace kiss” (psalm 85:10 – one of our theme scriptures) and that the place where we become righteous and become more like Jesus is not when we labor and strive for it…but when we spend time with Him in His peace…He makes us clean “by the Word He speaks to us.” (john 15:3) it was truly an amazing night that i will remember for a long time to come. the day started off with pastor randy again, and again i was undone. i fell in love with the song “a greater song”. at the end though, he said that we all fall dramatically short from fulfilling these requirements, but Jesus fulfilled those and takes us by the hand and leads us up the mountain…if we submit and follow Him. for lunch, a bunch of my friends and i went to the new “coffee bistro” for lunch. it was awesome! that night was powerful. pastor hackenburg preached again out of judges 1:1-3 and spoke about generations working together. it was one of the most powerful revelatory messages i have heard in a while. God was just unlocking things. He spoke to me that night of my calling, that i am an “issac” to the “abraham” and “jacob” generations. i am the middle man to make sure that the generations stay on track. 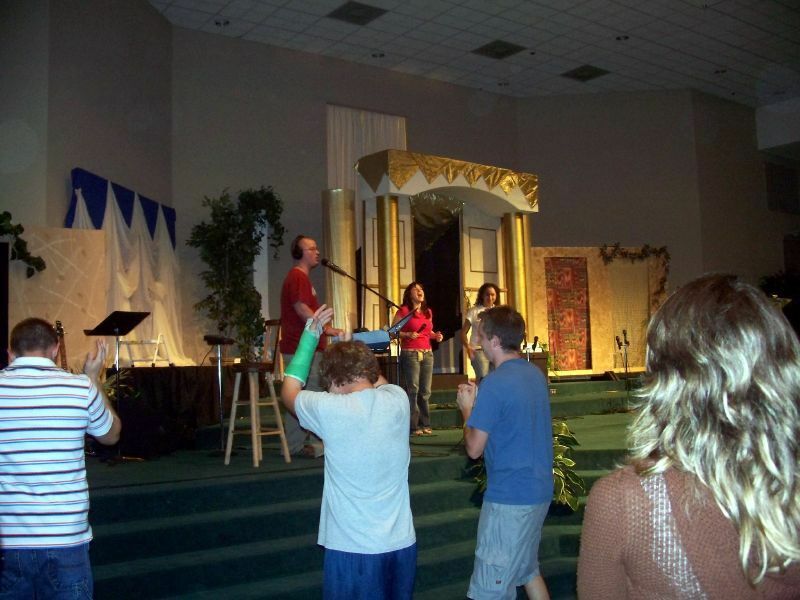 that night we also did an amazing prophetic act (pictured above). pastor hackenburg told us to get all the change out of our pockets and purses and come and throw it on the floor up front. then he declared that we would “walk through change”. it was a seemingly silly but incredibly powerful and prophetic act. after that we had a time dancing before the Lord…and because pastor hackenburg brought his worship team with him…i got to join that dance. yea!!! later that night, i got to do another night worship session (totally unplanned…lol) and though it was short, it was incredibly powerful. it really humbled me and i felt honor to lead our church’s worship team (who were in the congregation) in worship. some of these people and leaders have spend years helping lead ME into worship and now to have the privilege this one time to connect them to God (like they have done for me) was such a joy and honor. once again we danced for a bit and then we cried out for passion (stir it up in our hearts Lord!). we ended with declaring that we will worship “until the very end”. until the end of our lives/journey. no matter what comes our way. it became very sober, because we knew God would hold us to our words. God really touched hearts that nights and gave us grace and willingness to endure. late at night, i woke up (along with everyone else…lol) to the intercessors prophesying. the Word was “you have a haughty spirit if you think you can do whatever you want and make it without my Word. you think you can make it thought the shaking without consuming My Word…i tell you, you have a haughty spirit.” it was deep and powerful. we had an incredible worship day. pastor randy started off and i started crying out to God for “holy love”. i questioned and talked to God during the tent regarding my calling. i soberly laughed at myself cause i realized that although God has called me to all these things and to lead…i didn’t have the love…especially the holy love…to do it. i feel i will be a pastor one day, but i begged God this week to give me the love a shepherd is supposed to have. i want to be one of these shepherds that are “after His heart” (like what i’ve been praying for). later, after a time of testimony, i got to lead my last set of the tent. it was a powerful more intimate time where God brought healing, encouragement and restoration to people. after the session (and a yummy ham sub from publix), we did our closing service and feast. rabbi jerry miller spoke about the journey that He has us on is preparation for the millennial reign of Christ. i was thrilled (although i was exhausted and falling asleep due to weariness) to listen to an end-time message! what a way to end it! after that we feasted together (vegetable lasagna…yum!) and then we went home! it was great. although the retreat ended saturday afternoon, there was a practical “so what does this all mean” time sunday. like a corporate summary. we had a guest evangelist bob fisher (who spent the entire retreat seeking God with us) speak on 4 different sermons (lol!) ending up at 2 samuel 12:15. there were prophecies confirming what God had spoke friday night (about the haughty spirit) telling us that we will not endure what is to come unless we consume the Word. it was a very powerful morning (well worth dating). many people’s prophetic gifting were stirred due to being with God for 72 hours. so the rest of the morning was filled with times of personal ministry. overall, it was an incredible experience that will help and guide me through this next year (and more) of my life. God said several other things that i will be seeing this coming year (that i will blog about as they come about). i really encourage you to download the sessions from the retreat off our podcast. (click here for it) they will powerfully speak to you! for those of you who were there, what did God speak and share with you? i’m here right now at church “administrating” for the Master Builder production. everything is being set up right now, and as i type they are doing sound effect checks. lol (i keep wondering if it’s really storming outside or is it the cd) i plan on starting a videocast next week with behind the scenes clips and interviews from the leaders. i did want to say this week (since i don’t have a video…lol) that the church in general needs to understand their place and Israel’s place in God’s ultimate plan for redemption. there has been so much deception and error in regards to israel. some of the stuff that is going around is termed what we call “replacement theology”…it’s the belief that Israel (due to killing Jesus) forfieted their place as god’s chosen people and now are just normal people who need to become Christians.